Nobody ever said that entrepreneurship is easy. Customer acquisition, fear of failure, building a brand, money management and balancing quality and growth are just a few of the challenges that small business owners and entrepreneurs face every day. One method to follow when you get frustrated or think you’ll never succeed is to research the strategies of successful entrepreneurs, start-up founders and inspirational leaders. Here, we compiled 10 quotes and lessons learned from some of the most successful modern entrepreneurs and leaders. Eric Ries is the author of “The Lean Startup,” and is one of the founders of IMVU. 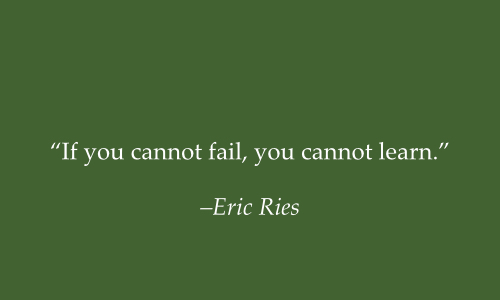 Ries’s quote reminds entrepreneurs that sometimes it’s necessary to take a “test and learn” approach. Experimentation is a valuable tool for determining the efficacy of a new product or service. Don’t be afraid to perform business experiments. Some experiments might pay off; others might fail. Nonetheless, you’ll gain valuable insight and data. Aaron Levie is one of the founders of Box, launched in 2005. Box is a file sharing and cloud content management service. 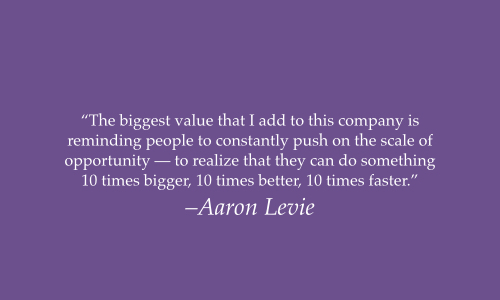 I discovered this quote when reading “The Way I Work: Aaron Levie, Box” at Inc. Magazine. It reminds me that startups must move at the speed of light. They don’t have time for bureaucracy, politics and pontification. Entrepreneurs must invent simple solutions for complex problems. When nonsense slows them down, strong leadership prevails. Tony Hsieh is an entrepreneur and venture capitalist. He is the CEO of the clothing and shoe online retailer, Zappos.com. Zappos is known for their incredible culture and happy employees. What I find inspiring about Hsieh’s quote is that he understands and embraces the intangible value of happiness. This quote is a great reminder that employee happiness and engagement leads to profits and success. Elon Musk is an entrepreneur, investor and engineer. He is the CEO and product architect of Tesla Motors. Success takes time; it doesn’t happen overnight. Many entrepreneurs are innately impatient, and this can actually be an amazing quality because they push their employees to success. 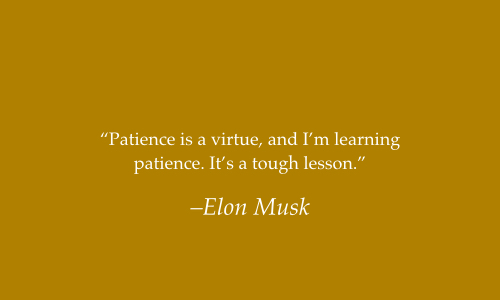 However, if entrepreneurs are too impatient, they might give up before seeing the success they deserve. Bel Pesce is an accomplished author and has launched several startups, including Ooyala and Lemon Wallet. She is the founder of the FazINOVA school, a private business school founded in 2013. This quote is from Pesce’s TED Talk entitled, “5 Ways to Kill Your Dreams.” It’s a great reminder that it’s human nature to become complacent when you’re experiencing success. 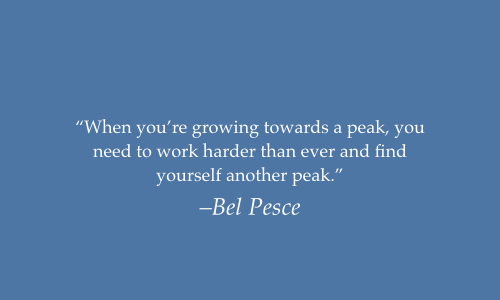 Pesce’s quote reminds entrepreneurs that it’s necessary to keep pushing even after they’ve reached their initial goals. Chip Conley reached success by building Joie de Vivre Hospitality, which is a boutique hotel and restaurant company based in San Francisco. He is an accomplished author and inspirational speaker. I encourage you to watch Conley’s TED talks. They are both inspiring and educational for business leaders or anyone else who wants to find joy in their lives. 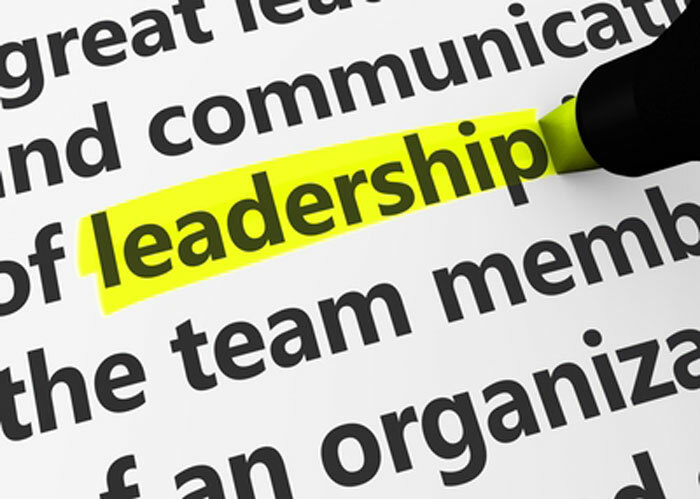 Conley has discovered the importance of emotional intelligence and how it enhances leadership ability. 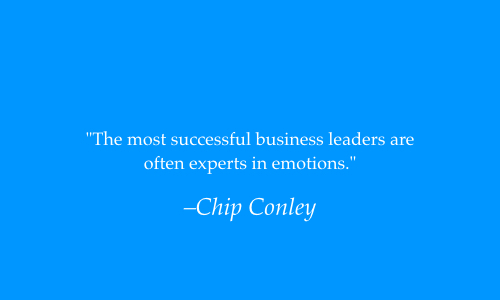 This quote reminds entrepreneurs to examine emotions when making decisions — data, facts, risk and complexity are not the only factors to consider. 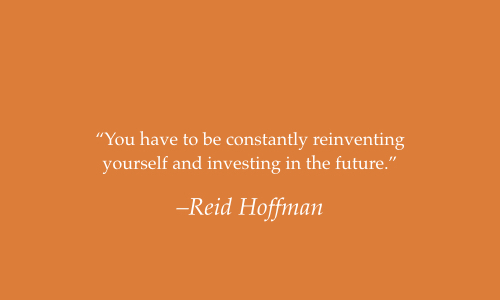 Reid Hoffman is best known as one of the founders of the social networking site for business people, LinkedIn. This quote reminds business leaders that at times it becomes necessary to re-invent to stay relevant. The competitive landscape changes, the market shifts or new opportunities present themselves, which makes transformation inevitable. An example that immediately comes to mind is the shift from print to digital media. The Atlantic is a great example of a company that successfully made a transformation. The magazine was founded in 1857. They embraced a digital-first strategy to stay relevant in a dying print magazine industry and are currently successful, reporting revenue highs in Q1, 2015. Sara Blakely is the founder of Spanx a highly-successful hosiery company. This quote is a great reminder that entrepreneurs can learn from anyone. Business owners and leaders should take every opportunity to learn from customers, mentors, employees or peers and to embrace the knowledge that’s gained. Being open to a new point of view or perspective can be gold. Jimmy Wales is most well known as one of the founders of the Wikipedia. I first heard this quote when watching a 60 Minutes Interview. Morley Safer asked Jimmy Wales why he passed up billions by making Wikipedia a nonprofit. I was intrigued by his humbleness and by how he’s embraced the meaningfulness of his work. The lesson learned? Never lose sight of why you created your business. Find meaning in your work. Arianna Huffington is most well known as the co-founder and editor-in-chief of The Huffington Post. She is a successful author and speaker. In her book, Becoming Fearless, Huffington discusses the challenges of being assertive and aggressive, specifically for female leaders. This quote is a great reminder for business leaders — especially those who are introverts. When it’s the right time, speak up, be assertive and conquer your fears. As an entrepreneur or business leader, what’s holding you back? The next time you need inspiration, think about the ten ideas you read about today. Is there something you liked about this story? Is there a quote that inspires you? Let us know in the comments. To some, it’s a mystery why many people are driven to action, while some people have a difficult time getting things done. Research indicates that genetics might play a role in motivation (specifically for exercise); however, there are secrets that productive people know that keep them in the fast lane. Keep in mind, these methods can be adopted by just about anyone. If you want to get more done, without jeopardizing your health or well being, get to know the secrets of productive people that we’ve outline for you today. A routine is a daily recipe or roadmap — a guide to follow every day the same way. Productive people, who are juggling work, school, children, a household or other obligations, follow a daily routine. A daily routine is essential for becoming efficient and productive. Productive people first establish a routine for the simple things, such as brushing their teeth and making their beds; then they make routines for more complicated activities, such as making a to-do list each morning for work or school that outlines each day’s obligations. When you establish a consistent schedule, you’re less likely to encounter the unexpected. Unexpected activities are the things that slow you down. For example, imagine you can’t find your keys in the morning. If you have a routine of placing your keys in the same place every evening, you’ll know where to find them every time. The action becomes automatic. Emotional intelligence (EI) is a type of social intelligence that involves the ability to monitor one’s own and others’ emotions, to discriminate among them, and to use the information to guide one’s thinking and actions (Salovey & Mayer, 1990). 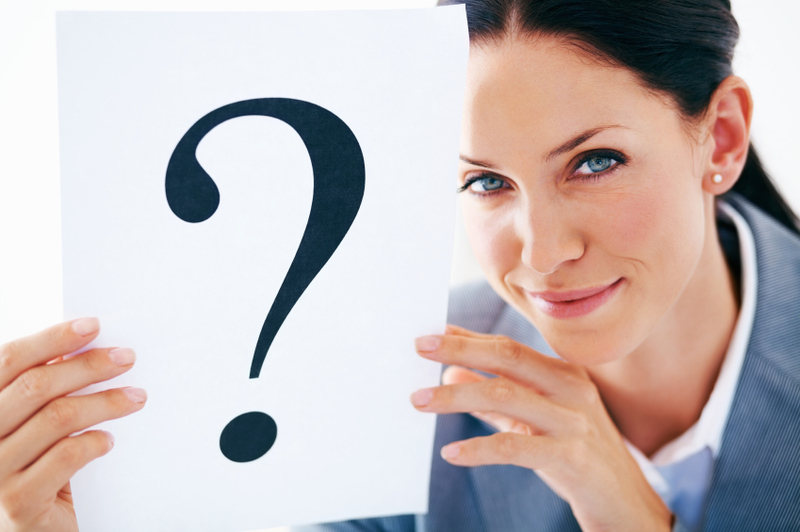 Some researchers believe that Emotional Intelligence is innate, while others believe it can be developed. To improve EI, take note of others’ body language, voice patterns and other verbal and non-verbal cues as to their state of mind and feelings. People who use Emotional Intelligence information make better decisions based on emotional information from themselves and others. Emotional Intelligence can be used to prioritize life tasks, problem solve, and to lead and communicate effectively. Comprehending and recognizing your own emotions can motivate you to work toward the accomplishment of your goals. Understanding the emotions of others helps you empathize and prioritize by taking into consideration emotional cues. For example, when making decisions regarding tasks that are important to complete at work, considering management’s feelings can guide you in the right direction. In the modern days of on-demand television, online books, Facebook, Instagram and YouTube, reading books might appear old-fashioned and passé. However, highly productive people never stop learning, and they make time to read books — regularly for leisure and for learning. Books provide a new perspective and allow individuals to escape. There are several productivity benefits of reading books. Reading provides stress relief, improves vocabulary, improves sleep, keeps your mind sharp and improves focus. Making reading a nighttime ritual can set you up for a good night’s sleep, which increases productivity. However, make sure that your reading material is made from paper because lights from electronic devices actually inhibit sleep. Light exposure before sleeping suppresses the hormone melatonin, which promotes sleep. Everybody is different. Some people are morning people. Others are not. Some like to work in spurts, while others keep a steady pace throughout the day. Some like to work in a quiet room, while others thrive in a busy coffee shop. What’s important is knowing what works for you. Keeping a diary of productive times and places helps you harness the power of your own rhythm and personal style. Self-awareness is the ability to have an understanding of your personality – and in this context, your work style. Becoming aware of what works and doesn’t work empowers you to alter behavior to set yourself up for success. Productive people wake up each day with a passion for their life and work. Their day gives them meaning and purpose and they cherish every moment of it. They’re motivated by their goals and the tasks they’re taking to accomplish them. Passion doesn’t come naturally; productive people go out and search for it. This doesn’t mean that you should immediately quit your job to pursue your passion of becoming a golf pro or polo player. It’s important to love what you do — not necessarily to do what you love. Focus on what is meaningful about your work and you’ll feel satisfaction from it. Those who feel truly successful are proud of the work that they’ve accomplished. There’s always something to feel good about at work — appreciate your achievements. Being delighted about your accomplishments motivates and encourages you to keep going. Limitations are something that unproductive people know well. Self-imposed and external limitations squash productivity. Productive people don’t let others hold them back from the greatness that they can achieve. They see their goal and keep going no matter what others might say. Don’t let the naysayers impose limits on you. Distance yourself and keep your eye on the prize. It goes without saying that focusing on the positive, rather than the negative fosters success and productivity. Those who focus on the goal and are passionate about it are likely to achieve it. Self-restraint is one of the most difficult practices to achieve, and learning self-control is challenging for many. Productive people know that limiting temptations, such as time wasting activities, can lead to enhanced productivity. It’s important to recognize when self-restraint is an issue. Keep a diary of wasted time. There are practices that can help you learn self-control. Software and apps can block and limit distractions. Practicing yoga and meditation increases self-awareness and control. Eventually, self-control becomes automatic or a habit and it comes naturally. Reducing time-wasters, such as television, video games, unhealthy snack breaks, etc. shifts attention to the important tasks at hand. When self-control is no longer an issue, focus becomes easier and time becomes free to do the things you really want to do — without guilt. People who are productive get out of their comfort zone and experience all life has to offer. 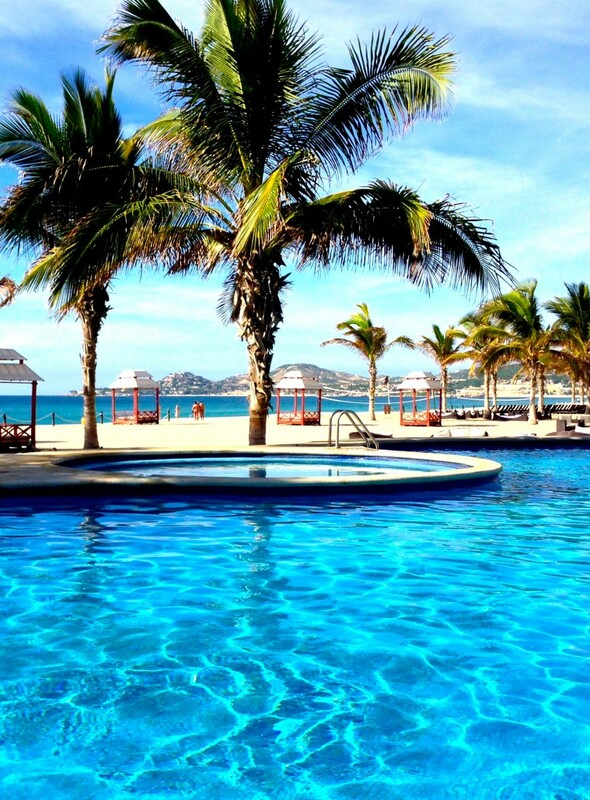 They crave new experiences, travel, pursue education and socialize often. Every new life experience is an opportunity to learn something new. Powerful, exciting and new life experiences provide important memories that people reflect upon for years. It’s simple. Interesting life experiences foster joy, learning and contentment. Happier people work harder and are more productive. Productive people make better decisions based on past life experiences — whether those experiences are good or bad. When time is limited and demands are insurmountable, prioritization becomes more important than ever. Saying yes to everything wastes time, sacrifices quality of work and can be overwhelming. Learning to say no to meetings, invitations and projects that don’t move the needle is hard to do, but advances productive people to meet their most important demands. 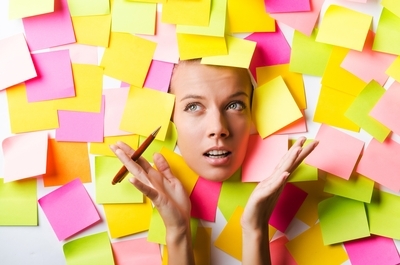 Do you get anxiety about forgetting your daily obligations? Many of us do. Holding too many items in our heads creates excessive stress and anxiety. According to studies, most people are only able to remember three to four things in the mind at once. If you’re the average person and not a master of memory, use a paper calendar or mobile app to manage schedules and obligations. Recording commitments, ideas and goals ensures that you won’t miss appointments and other obligations, but also reduces the anxiety associated with forgetting those items. A reliable mobile calendar or personal organizer provides you with audible and visible reminders to keep you on track. What are your secrets for success, motivation and productivity? Please comment and share! In our modern world, we’re busier than ever — especially when raising children and running a household. We’re rushing from one activity to another, and we struggle to find the time to get everything done that we plan to do. Important tasks fall through the cracks leading to embarrassment and other consequences, such as an unpleasant phone call from a teacher. Sound familiar? I fully relate to how crazy life can be for parents. I have the unique and fortunate experience of working outside of the home and being a stay-at-home mom. For five years, I focused on parenting — juggling school-related activities, volunteer work, household chores, and equestrian hobbies. Outside of those five years, I’ve worked in the technology industry on teams using cutting-edge project management and software development techniques. Over the years, I’ve gained invaluable experience in several project management methodologies that you can easily apply to running a household. I’m never a purist – I choose techniques from various methodologies to develop my own time management style. Specifically, I learned techniques for managing my to-dos in smarter ways, which I’m excited to share to help parents who might be struggling with managing their busy lives and schedules. 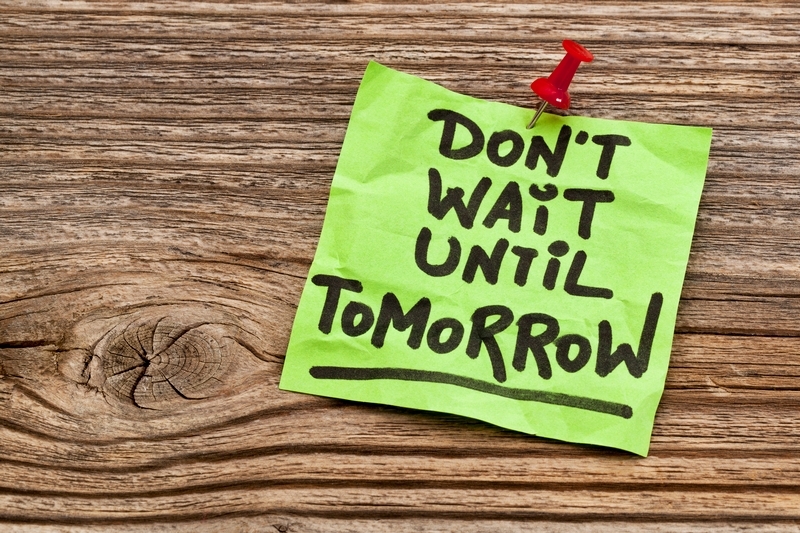 The Basics: Why Keep a To-do List? Studies show that most people can only remember 3 to 9 items at a time. If you’re anything like me, I’m guessing you have more than 9 items to do. If not, I’m jealous. Trying to keep all those items in your head consumes energy that you can put to better use. David Allen, the founder of the Getting Things Done® (GTD) method for managing life and business suggests that you capture anything and everything that has your attention. Why? Because your head is not a calendar, whiteboard, computer, or notebook — it just can’t hold all of this information efficiently. Capturing everything you need to do will free your mind of trying to remember to pick up snacks for baseball practice or preparing for a PTA meeting. The Basics: What’s a To-do? When you first make to-do lists, you might blend goals, projects, tasks, and events/appointments — consider they’re all different, which I explain below. 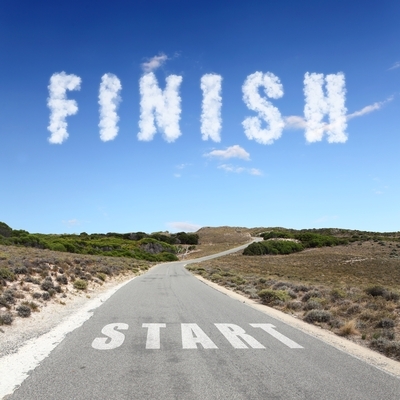 Tasks/To-dos – Smaller items that help you to achieve goals and/or complete projects, such as “Remove expired food from refrigerator” or “Run three miles.” In this post, I’m using the terms “to-dos” and “tasks” interchangeably. Events/Appointments – Things you must perform at a designated time and/or place, such as a parent-teacher conference. Events can result from goals, projects, or tasks — such as an appointment with a professional organizer. When making to-do lists, focus on tasks — not projects, goals, and events. Ensure they’re actionable things that you can accomplish in a session. Don’t be afraid to break tasks up into smaller tasks. With practice, you’ll understand how large or small your tasks should be. You Have a Colossal To-do List. What Now? You’ve captured actionable things that you can accomplish in a session, and now you have a monster to-do list and you’re more stressed than ever. This is when you tame the beast by putting prioritization into play. Consider that your to-do list is essentially a list of requirements and think of your family as a high-performing team who prioritizes and delivers various things — homework, shopping, meals, balanced budgets, etc. In business, the Product Manager of a team typically prioritizes requirements into scales, such as “Critical,” “Important,” and “Desirable.” For example, in the case of a household, “Schedule Carpool” and “Feed the Dog” might fall into “Critical,” while “Vacuum the Office” might fall into “Important.” Also, consider using a “To-Don’t” list for anything you’ve decided is just not important or do-able. Instead, you might choose to prioritize using the Covey Quadrant, which is described in depth in the book, “The 7 Habits of Highly Effective People,” by Stephen Covey. The quadrant identifies four categories for prioritization, Quadrant 1 (Important and Urgent), Quadrant 2 (Important and Not Urgent), Quadrant 3 (Not Important and Urgent), and Quadrant 4 (Not Important and Not Urgent). Choose a tool for categorizing your to-dos — paper, whiteboard, mobile app, or other software. Divide your to-dos into the above categories or sections of your quadrant. Help! What Do You Do Next? Figuring out the jobs that you work on each day or week is unique to you. It hinges on the type of work you do, your family’s priorities, your available time, and special needs that your family might have. When you choose your family’s to-dos, evaluate the time and resources you have available, and the priority of the tasks. For me, my work and life is very deadline driven. When I don’t have a hard deadline, I establish one for myself, and this method prompts me to get things done. I schedule hard commitments and deadlines on my calendar and fit the other items into the gaps in-between. I suggest that you trust your intuition. Be fearless about breaking your rules if things aren’t working for you and your family. Sharing is caring. Getting the family to share household priorities can have a profound effect on success. To accomplish this, I look to Agile software development. Agile software development is one of the most popular methods for creating software in an iterative and incremental way. It was developed by a group of software developers about a decade ago. And it’s become one of the most popular methods for creating software in an iterative and incremental way. Applying this methodology to family life has become a popular trend. One of the principles of agile is a “self-organizing” team. In a self-organizing team, a group works together to accomplish a goal — and they choose their tasks — instead of waiting to take orders from “the boss.” Yeah, that’s right. You have to relinquish some of your control. In Agile, the team attends a planning meeting at regular intervals. For families, I recommend the same technique. At this meeting, the family reviews the tasks in the “backlog” (the items you captured and collected) and decides what to do in the next “sprint,” which is a period of time determined by the team. This technique empowers the family to agree on the goals and tasks, and it encourages the family to participate. Another method to adopt from Agile is the “daily standup.” This is a short session where each family member communicates 1) What I accomplished yesterday, 2) What I will do today, and 3) Is anything blocking me from getting stuff done. A quick, casual “daily standup” gets the family on track and identifies any issues, such as unfinished homework. For families with children who are old enough to use computers, tablets, and smartphones, I suggest finding technology, such as a personal organization application, that works for your family. Encourage family members to add commitments, such as travel plans, homework that’s due, carpools, soccer practices, piano lessons, etc. to the calendar so the entire family understands when and where these items are taking place. Find a personal information organizer that enables you to manage the family calendar and task lists in one place. Take advantage of audible and visible notifications to make sure you never miss an important meeting, task, or appointment. With a mobile personal organizer, your family has access to a shared calendar and task lists at any place or time. For example, when you’re at baseball practice and you’re assigned snack duty; you can instantly add this commitment to your calendar and the items to buy to your shopping list. This way, there’s no excuse for showing up empty handed. Please comment and share your ideas for organizing your families’ crazy schedules and commitments. Thanks!